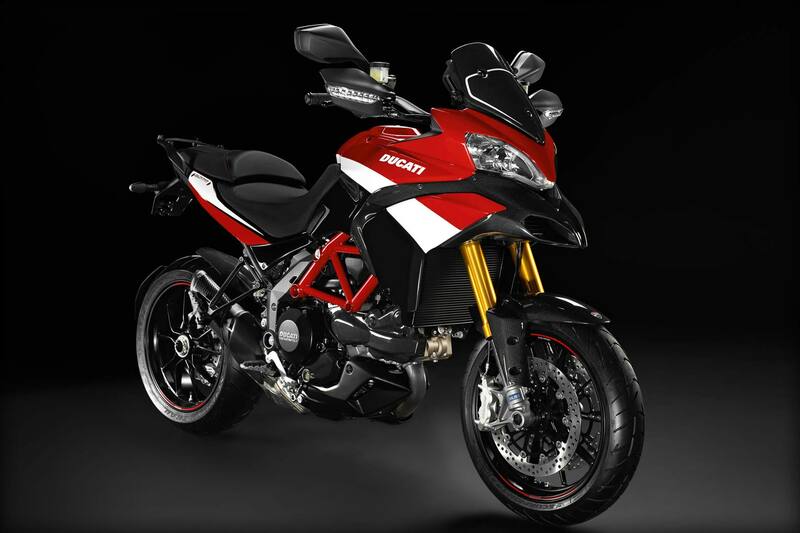 UPDATE: According to Ducati North America the United States will not get the carbon fiber Termignoni exhaust can, and instead will feature a numbered badge on the engine crankcase cover. 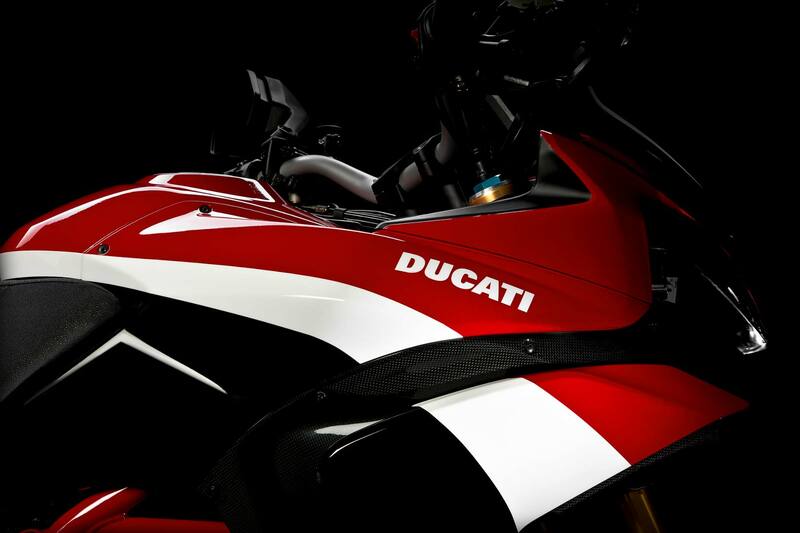 Pricing is $21,995, available June 2011. 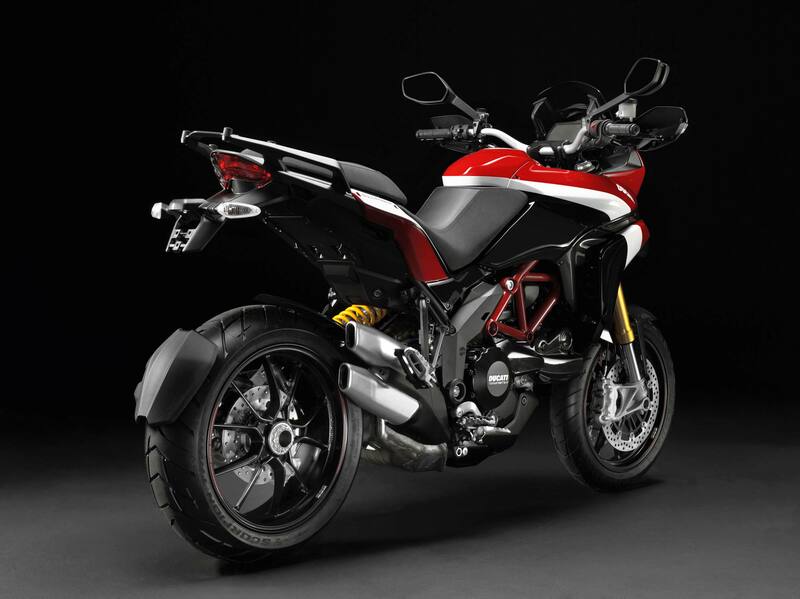 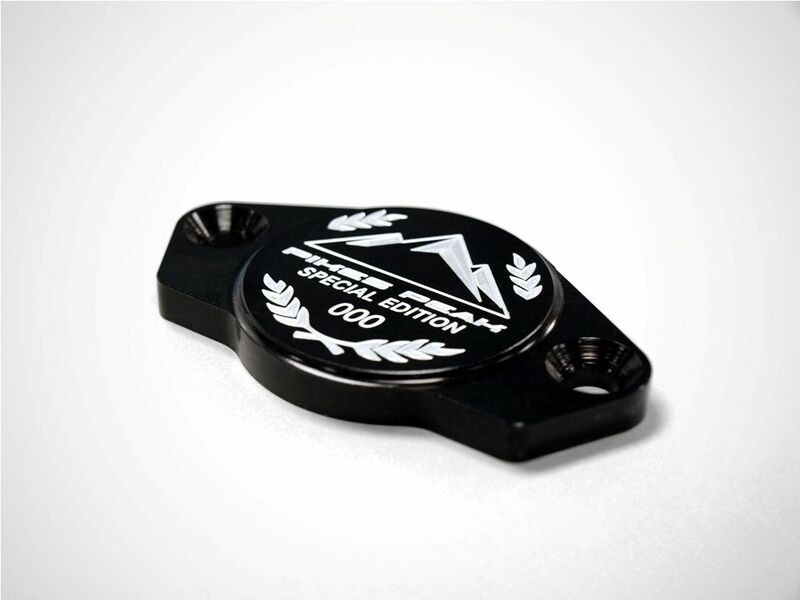 Helping celebrate Ducati’s heavyweight class win (and 2nd place overall) at Pikes Peak last year, the Italian company has released the Ducati Multistrada 1200 S Pikes Peak Special Edition today. 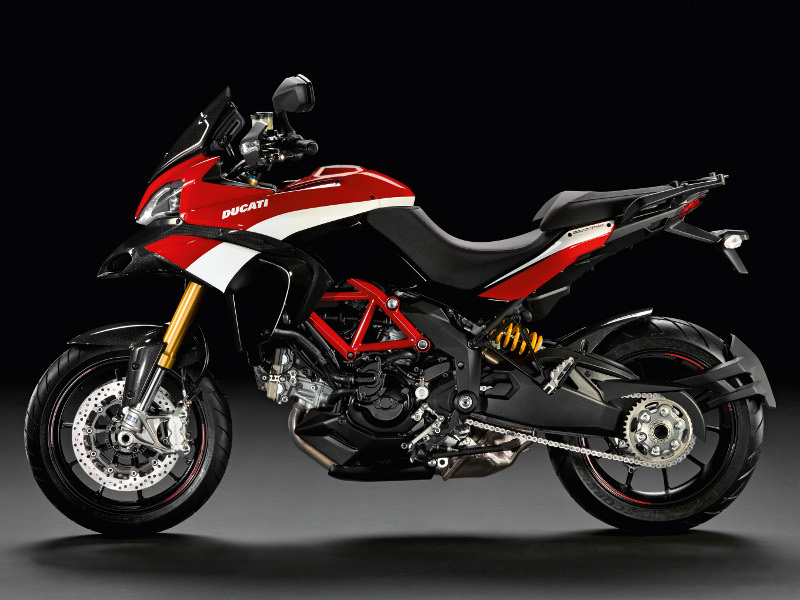 We’ve been saying that Ducati needs to build a Pikes Peak Special Edition of the Ducati Multistrada 1200 S since…well, since we first laid eyes on the beautiful machine a year ago. 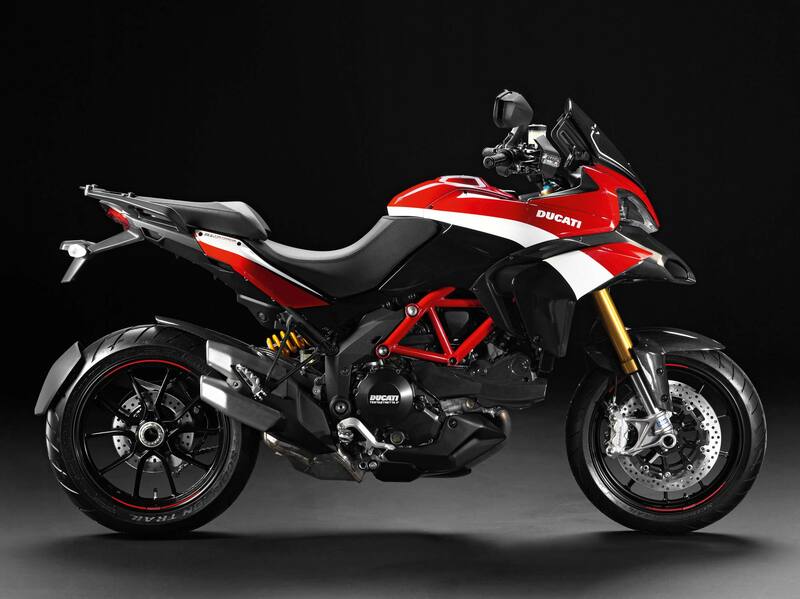 Launching the Ducati Multistrada 1200 S Pikes Peak today though, we’ll have to find something else to pester the Italian company about, but that’s fine by us. 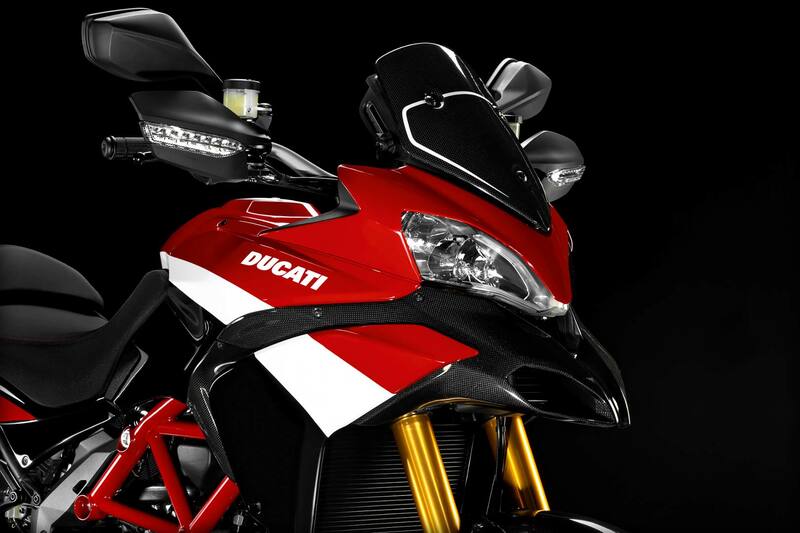 Decked out in the Ducati Corse paint scheme, this Special Edition model comes mostly with cosemetic changes like anodized passenger foot peg hangers and engine guards, red pin-striping on the wheels, a Ducati Performance carbon fiber mudguard, red stitching on the seat, and a lower race-derived carbon fiber windscreen. 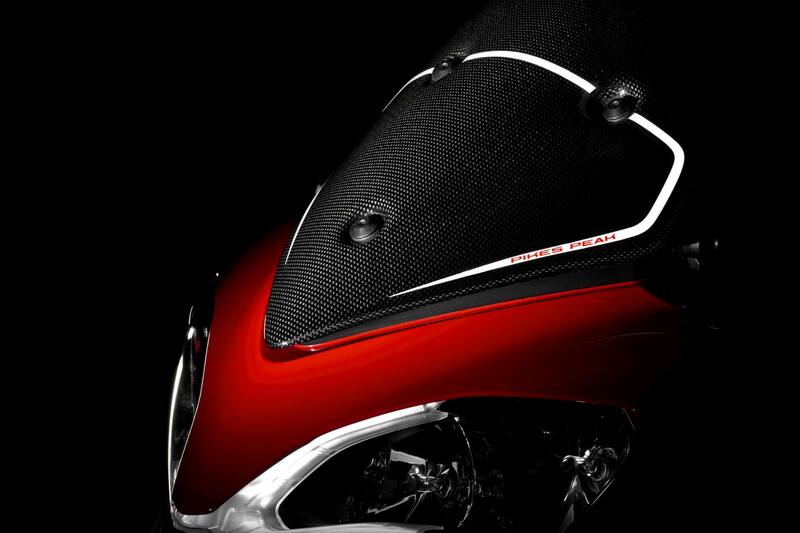 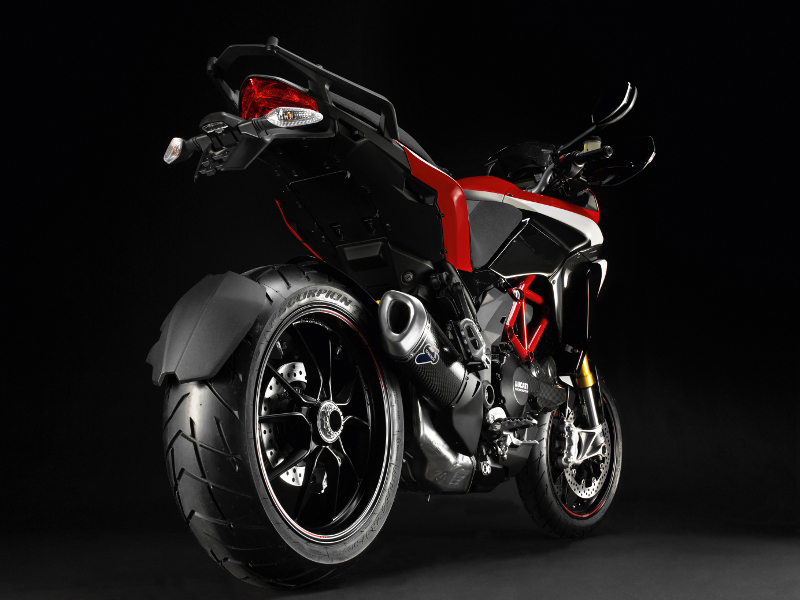 Completing the package is a carbon fiber Termignoni exhaust can (EU models only, naturally). 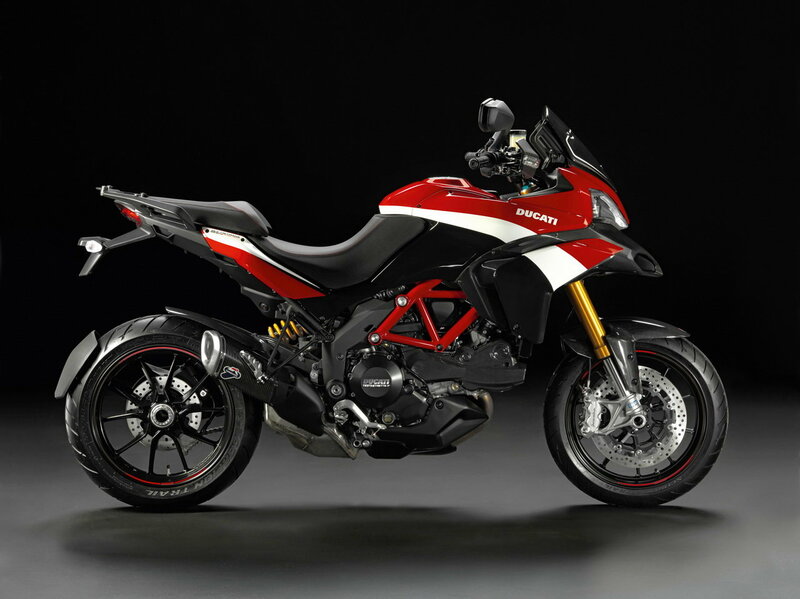 In addition to the launch of the Ducati Multistrada 1200 S Pikes Peak, Ducati has also announced its intention to return to the mountain to defend its results from last year, and fight for the fastest time overall in the motorcycle category. 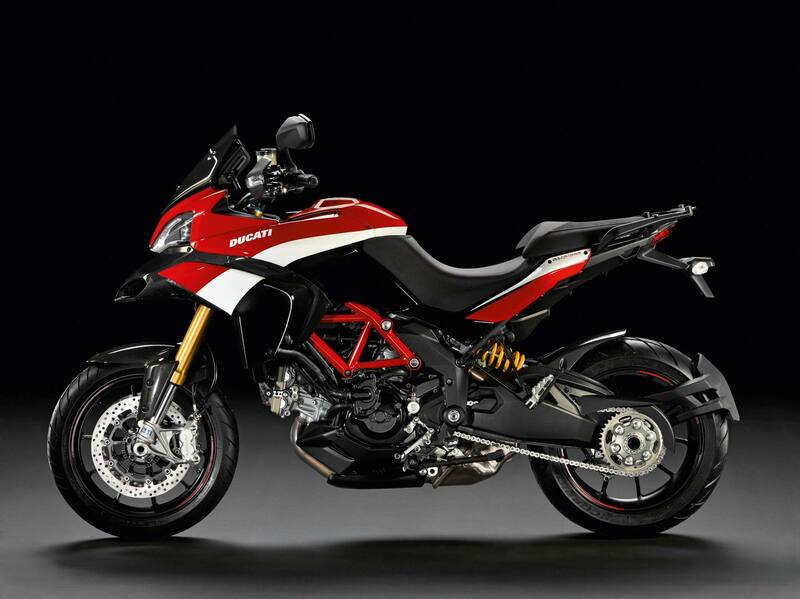 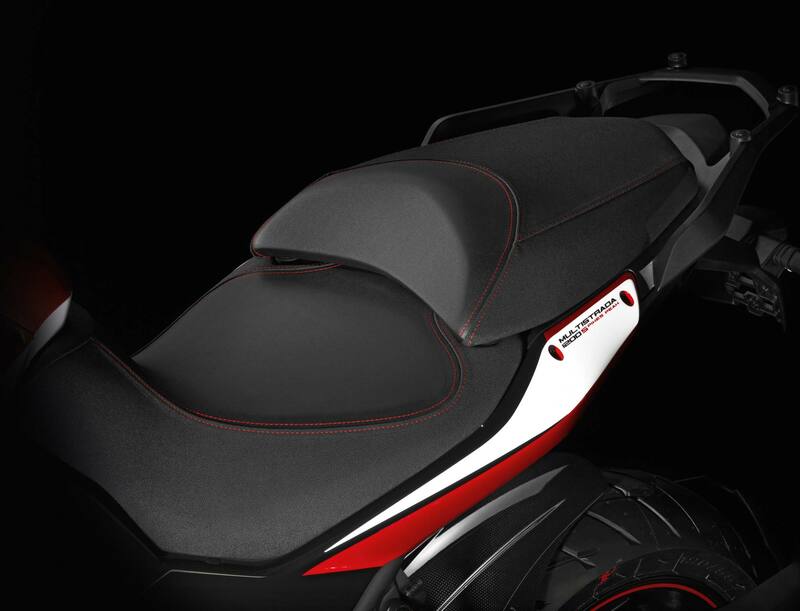 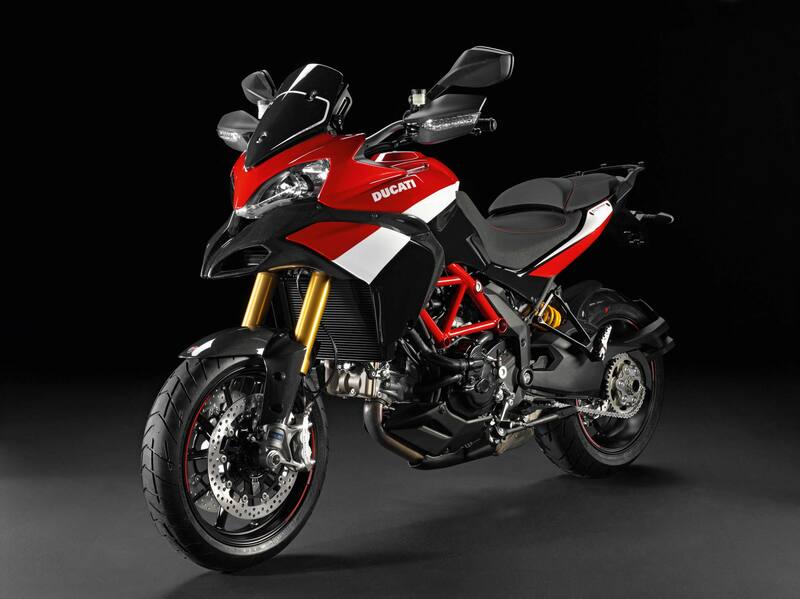 Manning the helms of the Ducati Multistrada 1200 S will be Greg Tracy and Alexander Smith. 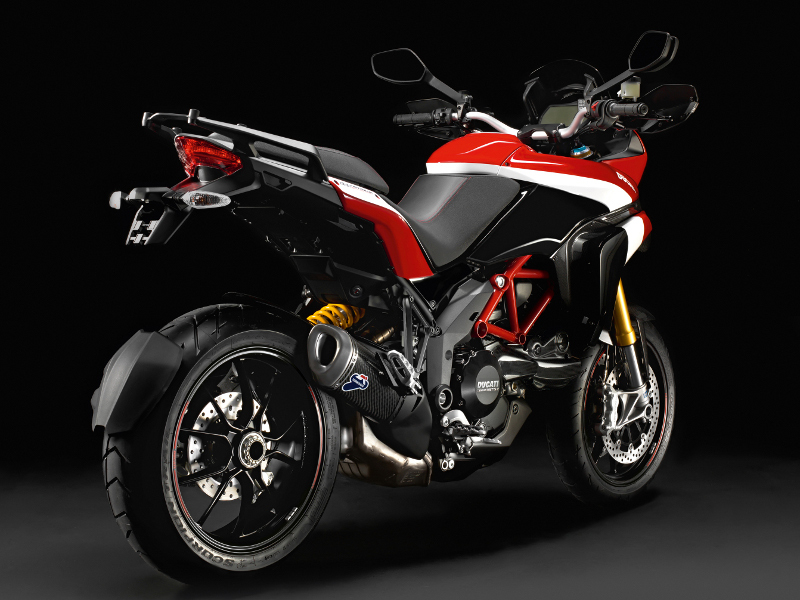 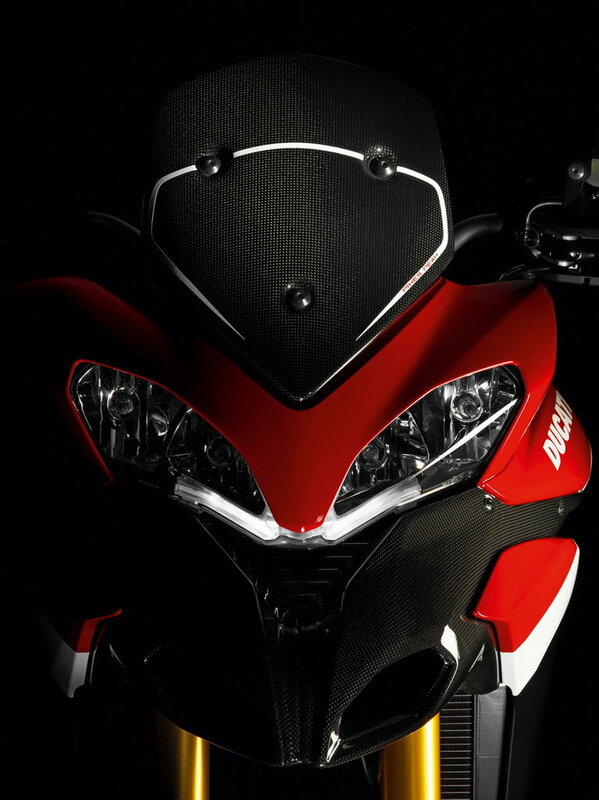 The Ducati Multistrada 1200 S Pikes Peak will be available in June 2011, which is just in time for the race at The Pikes Peak International Hill Climb, which is in June 26th, 2011. 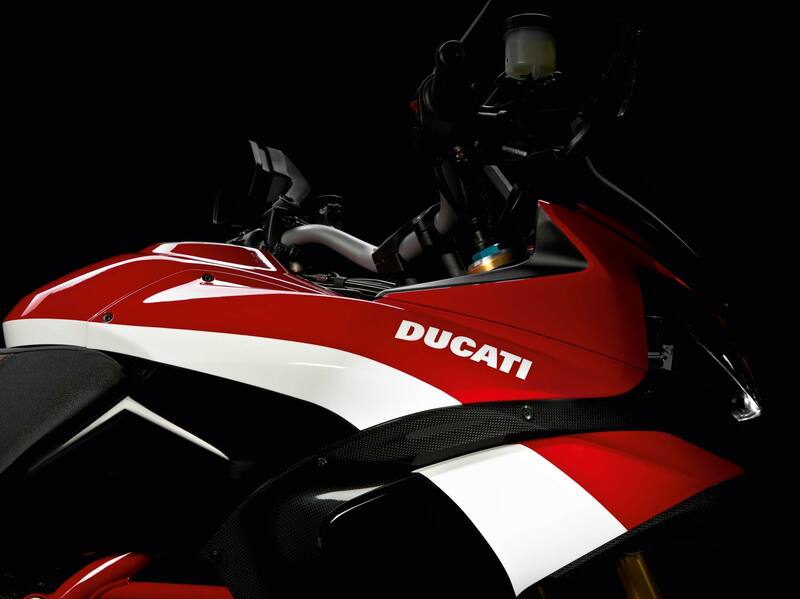 Pricing starts at $21,995 MSRP.